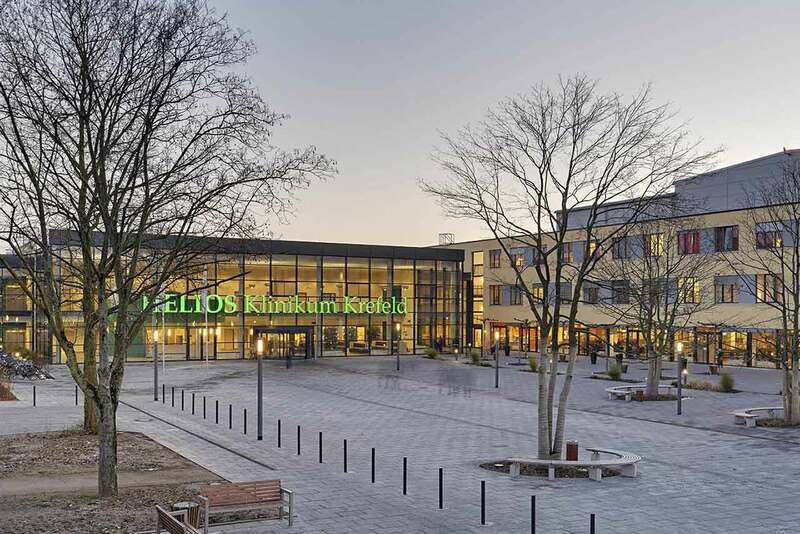 Founded in 2014, the HELIOS Clinic Krefeld is one of the most modern medical facilities in Germany today. 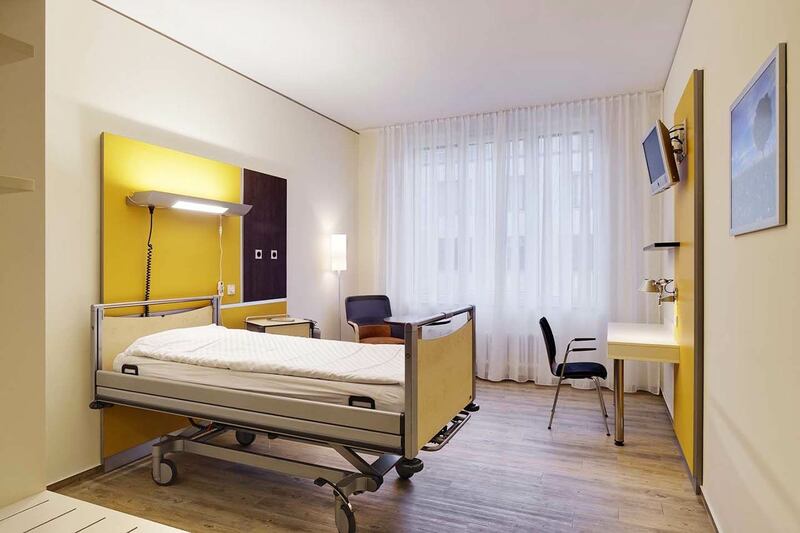 A team of highly qualified specialists, innovative medical equipment and comfortable accommodation conditions – the clinic has everything to make the treatment run smoothly and efficiently. Having crossed the threshold of the clinic, you will feel the home-like cozy and modern atmosphere. Perhaps you will even forget that you are in the clinic. As a maximum care medical center, the clinic covers practically all areas of medicine: cardiology, gastroenterology, oncology and hepatology, nephrology, diabetology and rheumatology, general, abdominal and minimally invasive surgery, dermatology and venereology, angiology, cardiac surgery and other medical fields. Thanks to a continuous fruitful cooperation with the world’s leading universities, research and medical centers, the clinic provides the highest treatment standards. The doctors of the clinic take up the treatment of the most severe cases, including serious spinal injuries and diseases related to the disorders of the central nervous system. The nursing staff of the clinic regularly undergoes both advanced and special trainings, which contributes to a high-quality, professional patient care at all stages of treatment. The clinic adheres to a strict quality management system. 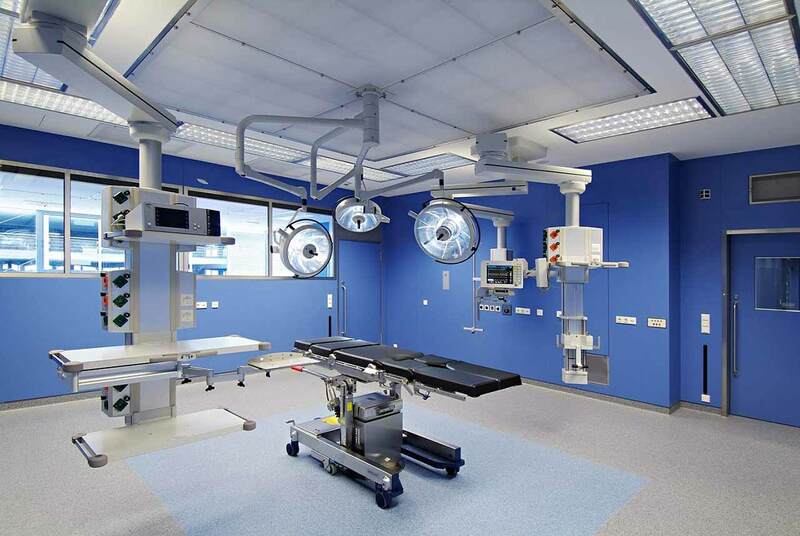 Not only the patient care, but also the entire treatment process (including monitoring and patient care after the operation) are subject to the quality certification. 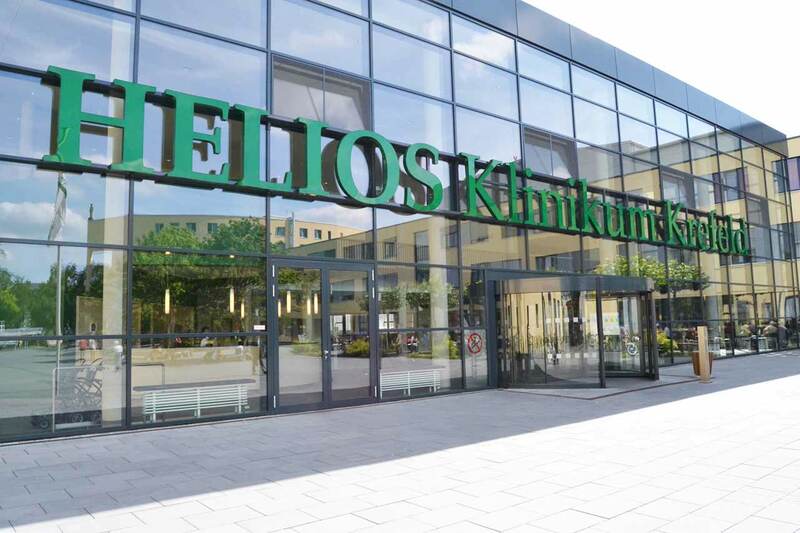 The patients of the HELIOS Clinic Krefeld live in comfortable single and double rooms. Each room has a bathroom with a toilet and shower. The room is furnished with a comfortable bed, bedside table, TV, radio and telephone. Each room has access to the Internet, which can be used at extra charge. The clinic offers an excellent infrastructure: a beautiful park with playgrounds for children, a cafeteria, a chapel, which regularly hosts church services, a prayer room for Muslims, a beauty salon, a shop with a large selection of magazines, drinks and personal hygiene items, an ATM and a large parking lot. The restaurant of the clinic offers three meals a day. For breakfast, lunch and dinner, it serves a large selection of dishes that will please even spoiled gourmets. Every day, the menu features vegetarian and dietary dishes. It is possible to order any dish without leaving the room. In addition, the clinic has a cafeteria where one can always have a cup of aromatic coffee, hot tea or enjoy an exquisite refreshing drink. Also, the cafeteria menu offers many tasty snacks and dishes. Krefeld is a city located in the state of North Rhine-Westphalia. The city has 9 districts, the main of which are the district of ​​the Linn Fortress with ancient medieval buildings, the Jürdinger quarter, where most of the buildings are designed in the Baroque style, the district of ​​the era of classicism and the ​​Fischeln district with Gothic and Romanesque churches. A sharp contrast is created between the Huls village district and the luxurious country mansions of the Bochum district. It is hard to believe that today these architectural buildings, so unlike each other, are part of one city. One of the main attractions of Krefeld is the Art Museum. Its beautiful collections have glorified it all over the world. The museum is divided into three parts located in different buildings: the Kaiser Wilhelm Museum, the Esters House and the Lange House. Each of them has its own interior design and canvases of different styles and centuries. The Imperial Museum is decorated with a large bronze statue of the winged Genius of Arts. Another, but no less popular, landmark of the city is the Linn Fortress. 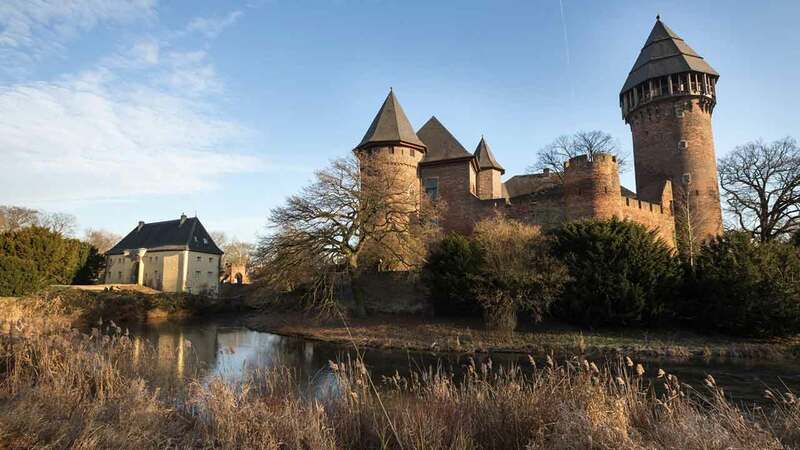 A small medieval castle is located on the outskirts of Krefeld. In the XV century, the castle was almost completely destroyed, and its restoration began only in the XVI century. Until the last century, the fortress passed from hand to hand, was repeatedly rebuilt and acted as a fortress, as a prison or a residential area. Now, after extensive restoration works, the castle houses the year-round Museum Burg Linn, which hosts numerous excursions and various exhibitions devoted to the history of the city and the Linn Fortress. In addition, the city has several theaters, many parks, squares and reservoirs, where one can have a wonderful walk, relax or play sports. Each part of the city has pedestrian and bicycle paths. Also, the city hosts exciting cultural events, for example, the Flaxmart Fair, the Annual Festival of Fashion, which is accompanied by the best musical and professional dance shows.